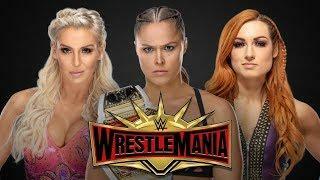 Ronda Rousey Makes Another Headline Toppling the Pro Wrestling Illustrated's Top 100 Female List, and The Man, Becky Lynch, is NOT happy about it! Also, we had a "Crazy" main roster debut of Nikki Cross on SmackDown, and Naomi wants a "bald" new look. Survivor Series is NEXT WEEKEND. We go through the Team Captains and team members of SmackDown and Raw's women's team. Alexa being sidelined again from action. We also go through PWI's Top 100 Female list, and it's former Top spots over the years. We also look back into WWE Evolution. Rumor leaked that WWE was planning a different Mae Young Classic winner. Also another superstar might have been injured during the event. Lastly we look into Ember Moon's Harry Potter/Game of Thrones themed wedding. Also Naomi wanting a bald look.